The M20 engine is very simple to set the timing on. 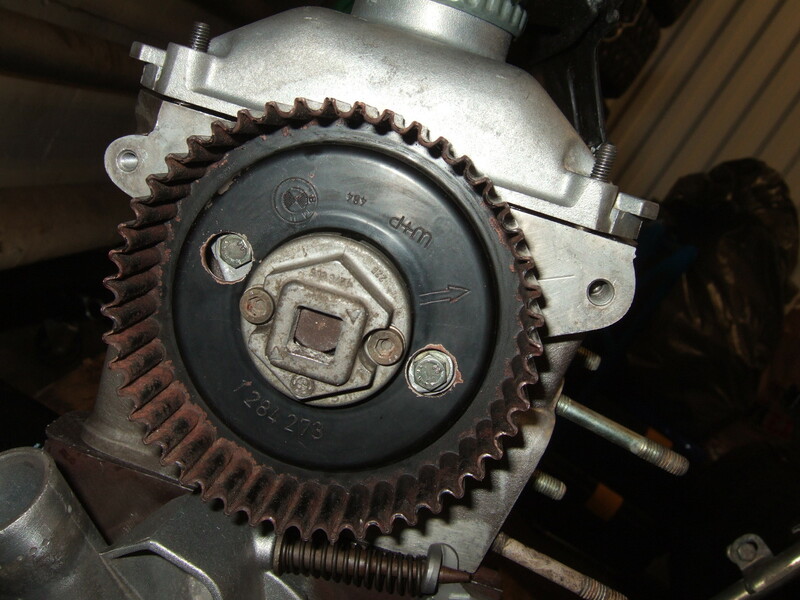 Simply make sure the camshaft is correctly located (by looking at the camshaft belt sprocket) and then finally make sure the crankshaft is correctly located (either by looking at the vibration damper or the crankshaft flange). Note! When adjusting/checking the timing it is critical all the timing belt slack is at the tensioner side. After you have checked everything lines up, rotate the engine crankshaft 720 degress and verify once again the timing is correct. Step 1 : Check camshaft location. 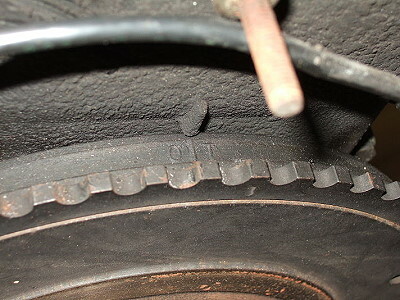 Make sure the arrow in the camshaft belt sprocket lines up with the line in the cylinder head. 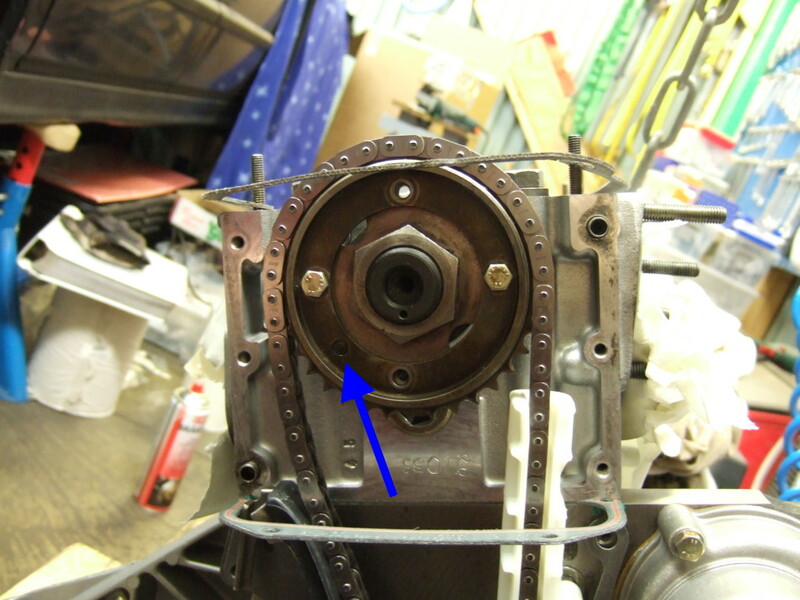 Step 2a : Check cranksahft location (alternative a). 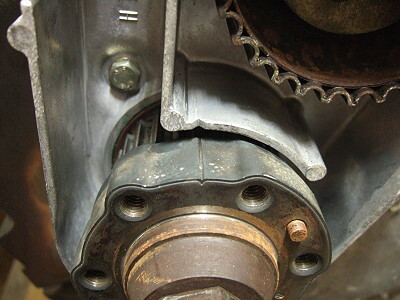 Make sure the line in the vibration damper lines up with the metal bracket on the lower belt cover). Step 2b : Check cranksahft location (alternative b). 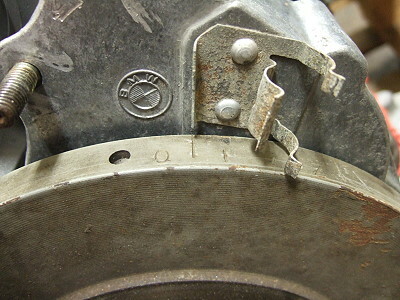 Make sure the line in the crankshaft flange lines up with the v-shaped notch in the lower belt cover). The M30 engine is almost as simple as the M20 engine. You only have to check two things, the camshaft is correctly located and then the crankshaft is correctly located. Note! 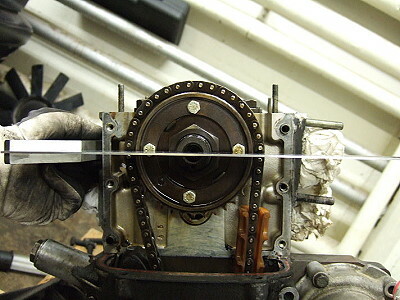 When adjusting/checking the timing it is critical all the timing chain slack is at the tensioner side. After you have checked everything lines up, rotate the engine crankshaft 720 degress and verify once again the timing is correct. Step 1 : Make sure the dowel in the camshaft chain sprocket is located at 7 o'clock. Step 2 : Make sure the bolts in the camshaft chain sprocket is absolutely horizontal/vertical relative the cylinder head. Step 3 : Make sure the 0/T mark on the vibration damper lines up with the mark on the upper chain cover. Both the M20 and M30 engine has the same firing order 1-5-3-6-2-4.